Merida has a brand new One-Twenty trail bike for 2019, and with a raft of frame and suspension updates, this one promises to be even more the versatile and capable all-rounder. Like the previous version, this one sticks with 120mm of rear suspension travel (the clue’s in the name), a 130mm travel fork up front, and it’ll come in both 27.5in and 29in wheelsize options. 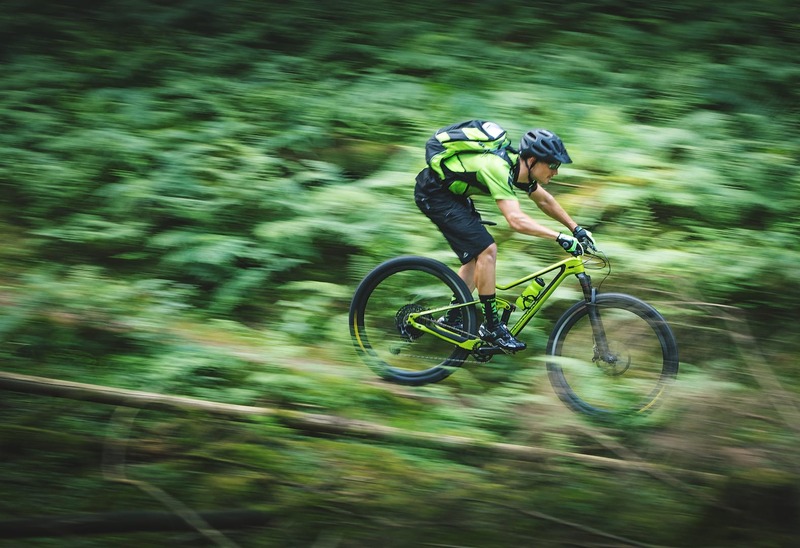 It’s the bike in Merida’s range that has perhaps the widest range of intended uses, designed to go the distance, efficiently as well being confidence inspiring on more technically demanding terrain, both on the ups and the downs. 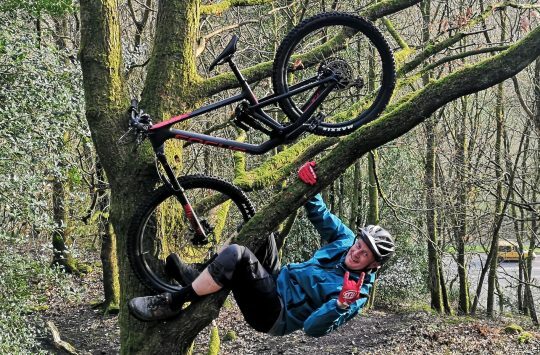 With trail riding becoming more demanding and riders asking for more from their bikes, that’s quite a tall order! What has Merida done to strike this balance? Whilst there are strong visual similarities with the outgoing version this has been a ground up re-design. There have been changes and tweaks throughout and some are easier to spot than others. Looking at Merida’s mountain bike range it’s clear to see a family resemblance – the One-Twenty has a similar look to both the One-Forty & One-Sixty platforms, and shares some features of the XC race bike, the 96. The Merida One-Twenty returns for 2019 with a completely new frame and fresh geometry. Boost axle spacing for front & rear wheels. There’s room for a water bottle inside the mainframe, even with the dropped top tube. There’s an been an eye to detail and consideration given to ease of servicing. 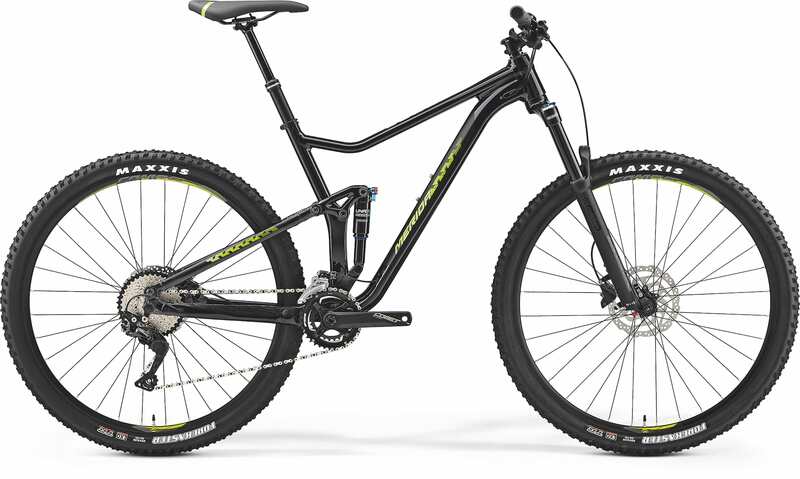 The geometry has been changed with a focus on increasing performance in technical sections of trail. Standover has been reduced and reach increased. Head angles have slackened for more confidence and stability in more demanding terrain whilst chainstay length has reduced by 10mm for improved agility and a playful ride characteristic. Tyre clearance has been opened up, with room for 2.35in rubber across all sizes. 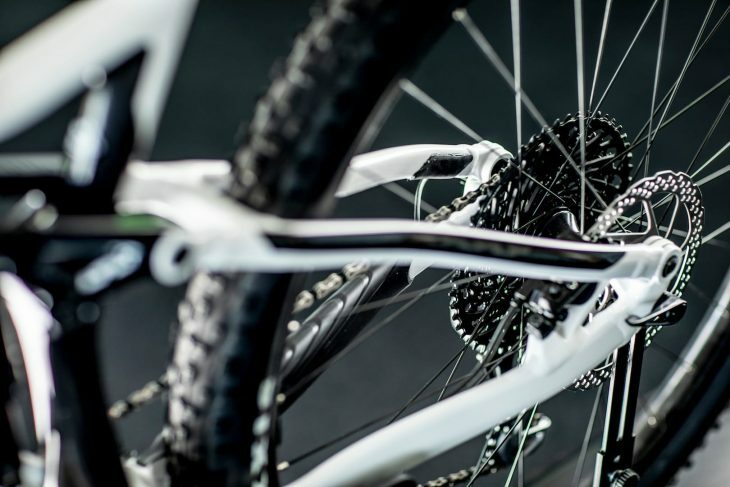 The One-Twenty will be offered in four sizes with 29in wheels, though like other mountain bike brands, Merida is offering the One-Twenty with 27.5in wheels for the smaller sizes too, so Small and Medium riders will have their choice of wheelsize. 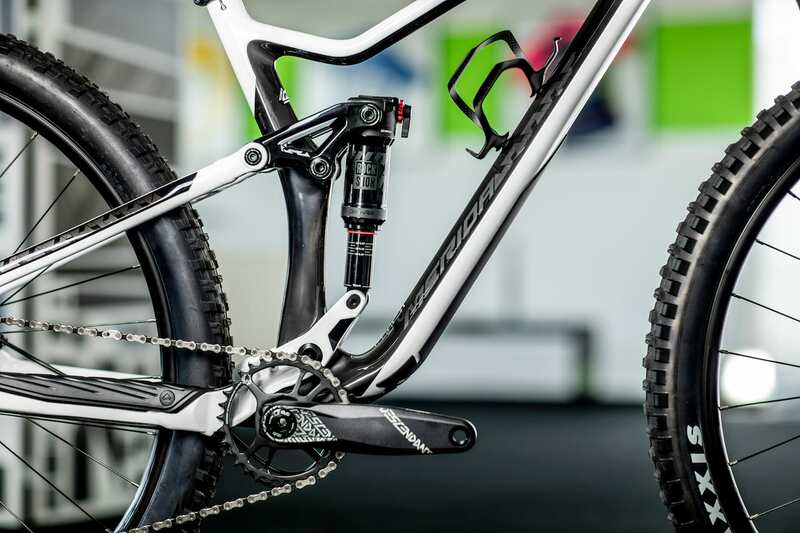 The rear shock ‘floats’ between the rocker link and the chainstay. The chainstay has been beefed up for added stiffness, and is 10mm shorter too. 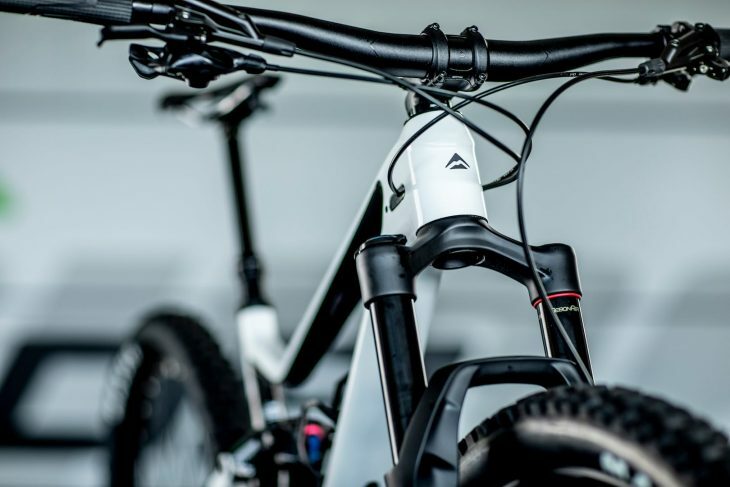 With suspension, it’s a case of if it ain’t broke, then no need to reinvent. The Float Link suspension is the same system as before but changes to a lower leverage ratio. 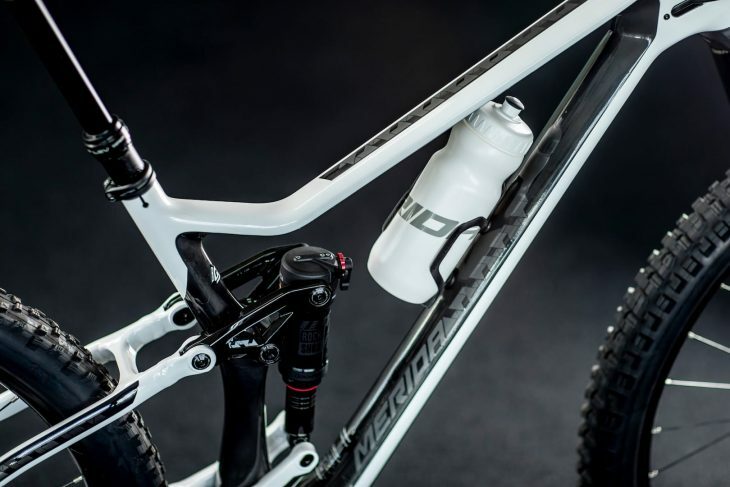 In addition it’s been engineered to have a more supportive mid-stroke and more progression towards the end, partially because modern air shocks like the RockShox Deluxe have gotten bigger and more linear. Bearing sizes have grown, and the rear shock is now of a metric variety, while relying on a trunnion mount with the rocker link – just like the One-Forty and One-Sixty models. Up front is a 130mm travel fork. Aggressive Minion DHR II Wide Trail tyres come on the front of select models. The new CF4 carbon frame is claimed to be 400g lighter than the previous One-Twenty, while the LITE alloy frame remains at a similar weight. Both the CF4 and CFA models are 1x drivetrain specific whilst the LITE alloy models work with 2x drivetrains. All share the same two piece aluminium rocker, and new oversized chainstays that increase the back end’s stiffness and durability. 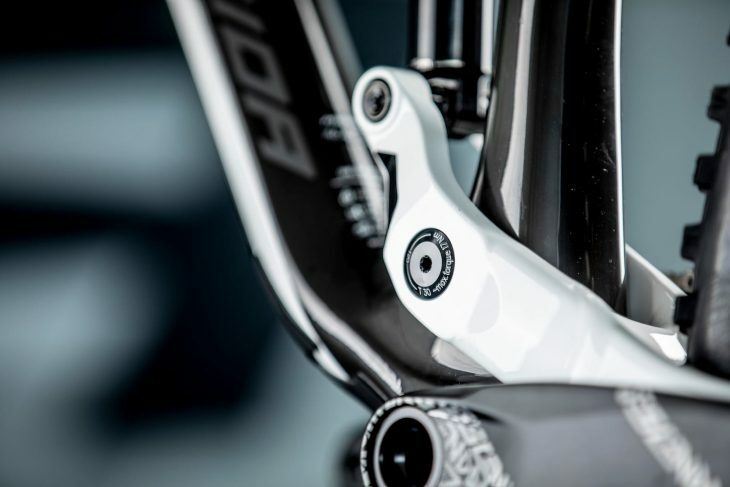 Other details for the new One-Twenty frame include a BB92 bottom bracket, post mount rear brake tabs for a 180mm rotor, and a heavily kinked top tube that provides more standover clearance. All frames come with new rubber armouring around the chainstay, seatstay and underside of the downtube. 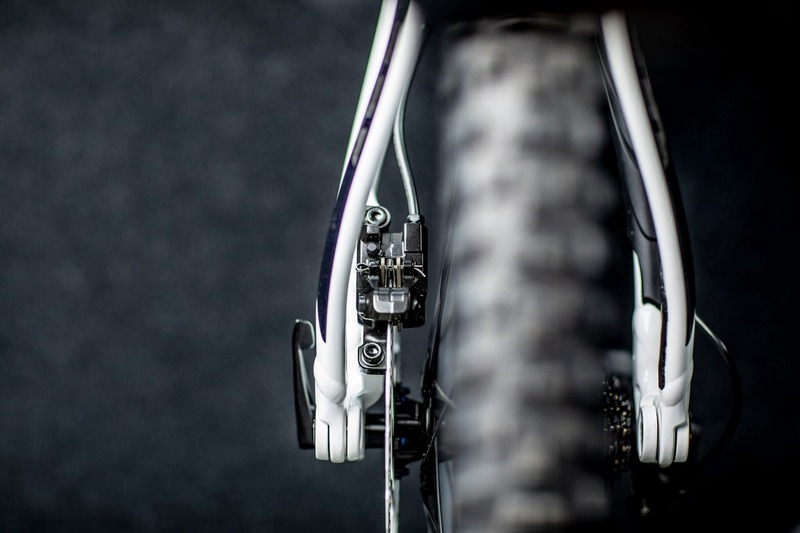 Spot the rubber armour inside the drive-side chainstay and seatstay. Neatly mounted rear brake calliper. 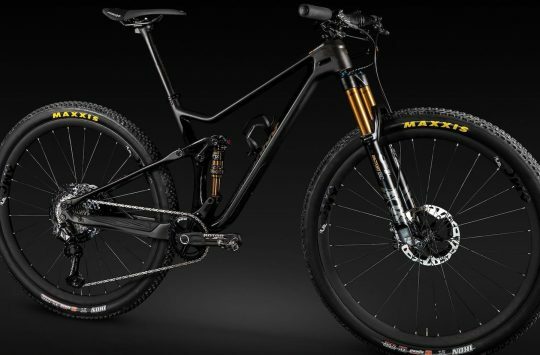 There will be no fewer than eight different specification levels and 29er/27.5er wheel size options for the XT edition, 600, 500 and 400. The top spec 9000 model is built with a long distance/ride all day focus and as such has a specification focused on maximum weight saving and lightweight fast rolling Continental Mountain King tyres. The XT edition is also built to go far. It features a 2x drivetrain and tyres with a low profile fast rolling tread pattern also, this time Maxxis Forekaster’s. 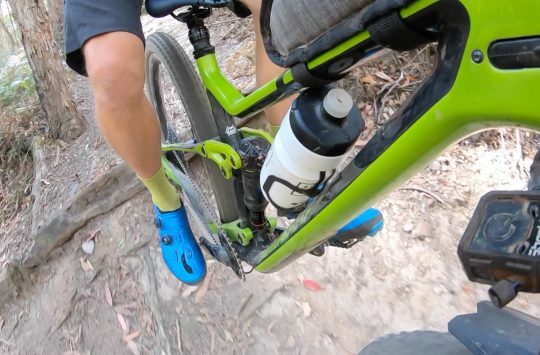 There’s different specifications offered with key components fitted to better align with either long distance/trail use. One-Twenty trail specification models feature shorter stems, wide rims and wide ‘n’ grippy front tyres. Short stem and wide bars come as standard on all models. The One-Twenty 8000 comes in this bold acid green colour and features carbon wheels from FSA. The 6000 uses a carbon mainframe with an alloy back end. The 800 is the top-spec with the full alloy LITE frameset. Merida has also created an ‘XT Edition’ spec, which comes with a 2×11 drivetrain and Maxxis Forekaster tyres front and rear. 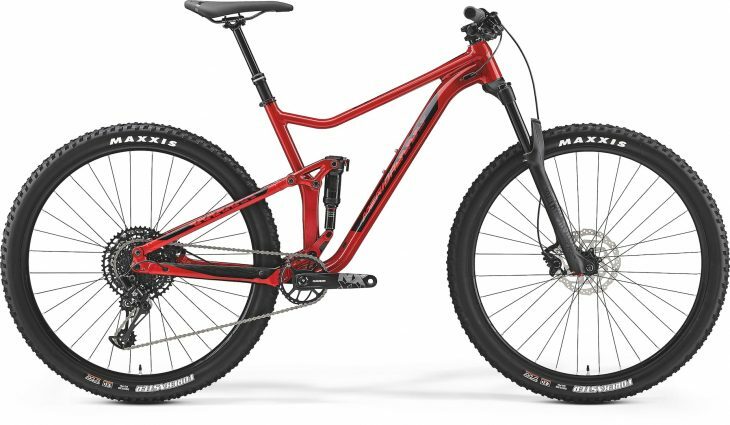 The deep red One-Twenty 600 still gets a 12-speed drivetrain and RockShox suspension. 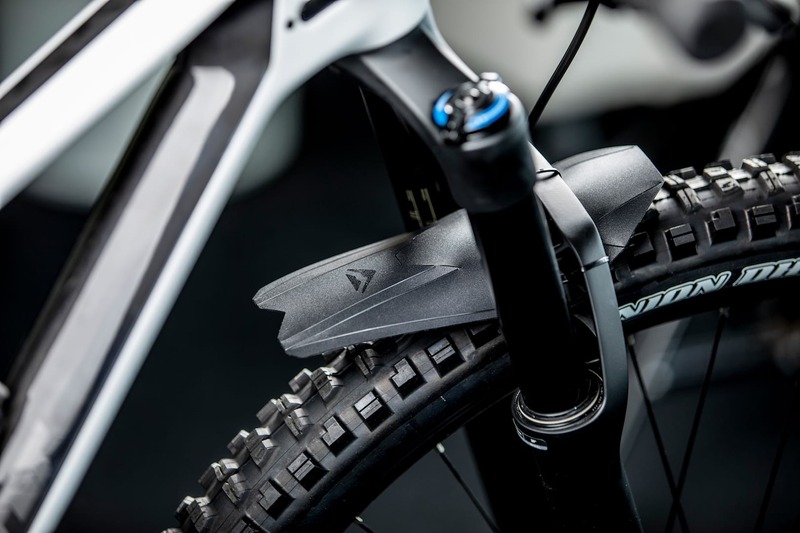 A new Suntour fork and rear shock adorn the 2019 Merida One Twenty 500. 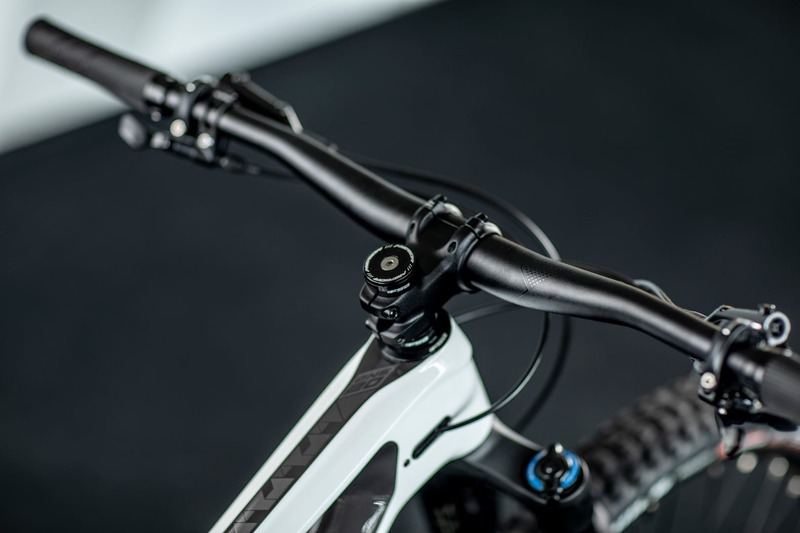 And kicking off the 2019 One-Twenty range is the entry-level 400, which still features hydraulic disc brakes and an air-adjustable Suntour rear shock. So what do you guys think of the new Merida One-Twenty? 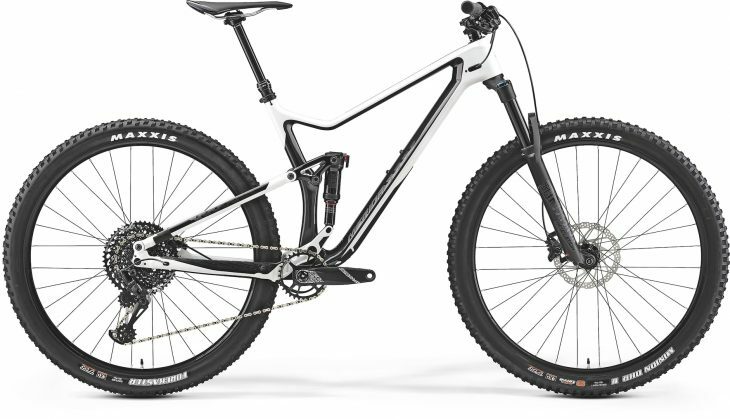 Is this a trail bike with the right ingredients? Or is it not quite your style? Our man James is currently on the ground at the 2019 Merida press launch, where he’s cutting laps aboard the brand new One-Twenty. Stay tuned for an interview with the design team behind the new bike, along with his first ride report, coming soon!